I have been working as the chief architect and vice-president in the Site Reliability Engineering (SRE) Center of Excellence, Reliance Infocomm Ltd. (RIL), Bangalore. I previously worked as a cloud infrastructure architect in the IBM Global Cloud Center of Excellence (CoE), IBM India Bangalore for four years. Prior to that, I had a long stint as TOGAF-certified enterprise architecture (EA) consultant in Wipro Consulting Services (WCS) Division. I also worked as a lead architect in the corporate research (CR) division of Robert Bosch, Bangalore. In total, I have gained more than 17 years of IT industry experience and 8 years of research experience. I finished the CSIR-sponsored Ph.D. degree at Anna University, Chennai and continued the UGC-sponsored postdoctoral research in the Department of Computer Science and Automation, Indian Institute of Science, Bangalore. Thereafter, I was granted a couple of international research fellowships (JSPS and JST) to work as a research scientist for 3.5 years in two leading Japanese universities. Regarding the publications, I have published more than 30 research papers in peer-reviewed journals such as IEEE, ACM, Springer-Verlag, Inderscience, etc. I have authored 7 books thus far and I focus on some of the emerging technologies such as IoT, Cognitive Analytics, Blockchain, Digital Twin, Docker Containerization, Data Science, Microservices Architecture, fog/edge computing, etc. I have contributed 25 book chapters thus far for various technology books edited by highly acclaimed and accomplished professors and professionals. Ganesh Chandra Deka is Deputy Director in the Ministry of Skill Development and Entrepreneurship, Government of India, New Delhi-110001, India. His research interests include Blockchain Technology, Bigdata Analytics, NoSQL Database and Internet of Things (IoT). 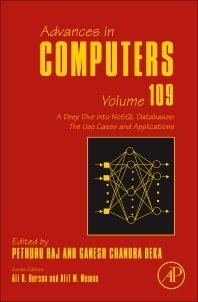 He has authored 2 books on Cloud Computing (Publisher- LAP Lambert, Germany, Co-author for 5 text books on (4 Fundamentals of Computer Science, 1 Free and Open Source Software). He has Edited 15 books (5 IGI Global, USA, 7 CRC Press, USA, 1 Springer & 2 Elsevier) on Bigdata, NoSQL Database and Blockchain Technology. He has authored 12 book Chapters, published 8 papers in various reputed Journals (2 IEEE, 1 Elsevier 5 others) and around 47 research papers in various IEEE conferences. 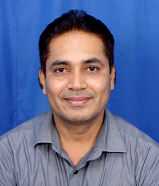 He was Guest Editor for 4 Special Issues of indexed International Journals [SCOPUS & SCI Journal]. As of now, he has Organized 8 IEEE International Conference as Technical Chair in India. He is Editorial board member and reviewer for various Journals and International conferences, member of IEEE, the Institution of Electronics and Telecommunication Engineers, India and Associate Member, the Institution of Engineers, India.